A Cross Arm Clamp can be used where a Distribution Line Earthing Kit is speciﬁed using a cluster bar . This clamp is used to ensure that the cross arm is also earthed. 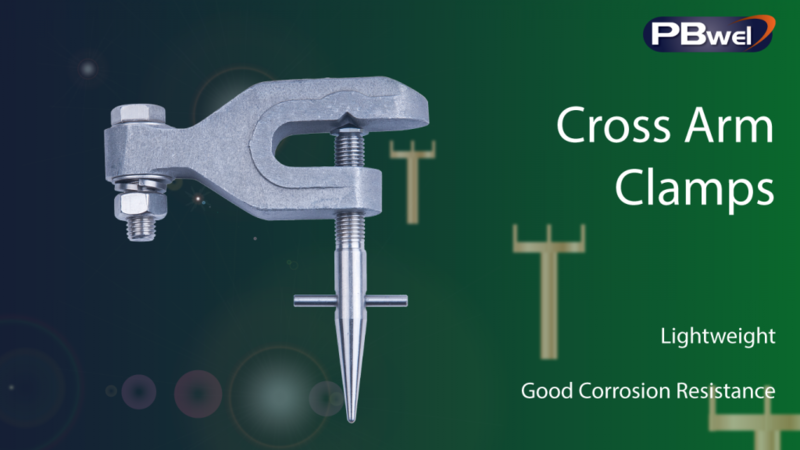 Manufactured from a lightweight aluminum alloy, they have a stainless steel operating screw ﬁtted with a hardened steel tip to penetrate painted and non-conductive surfaces, to ensure a low resistance earth connection. All clamps are designed with an ultimate strength well in excess of normal working loads and are type tested at normal loading before being approved for production. The construction of all equipment is of a robust nature and will withstand a reasonable amount of rough handling. The type CE10/A clamp is suitable for cross arms up to 13 mm thick. Also available is a black pvc protective shroud to protect the CE10/A clamp.